MARIE STOPES INTERNATIONAL (MSI), which provides around one third of abortions in England, had to restrict some of its services after an inspection. The UK’s Care Quality Commission carried out inspections on MSI – which also provides contraception services – earlier this year, and has now published its report. The CQC said that it inspected 12 MSI locations between April and August 2016. While it identified “a number of positive factors”, it also identified “some concerns linked to the governance arrangements”. As a result, it carried out an unannounced inspection of MSI’s UK administrative offices in London in July and August. It found that MSI, which performs around 70,000 abortions a year, “did not have sufficiently effective governance arrangements across registered locations so as to be assured of the safety and quality of all of the services it provided to patients”. It communicated its concerns by letter and in response MSI decided to voluntarily suspend some of its services temporarily. Suspensions of all surgical terminations at its Norwich centre. CQC issued four warning notices to Marie Stopes International, in response to regulatory breaches around ‘consent’, ‘safeguarding’, ‘care and treatment’ and ‘governance’, as well as a number of ‘requirement notices’, to support improvement. During the time that these restrictions were in place, NHS England set up a helpline and identified alternative providers to ensure there were no gaps in care. Marie Stopes International recommenced its restricted services during October 2016, “once it had reassured CQC that it had addressed the most serious concerns”. “This included Marie Stopes International carrying out staff training in key areas such as resuscitation and consent and strengthening its governance arrangements,” said the CQC. CQC continues to monitor the progress of MSI. It said it plans to inspect its centres and UK administrative offices again in the near future “to ensure that ongoing improvements are made and maintained”. “On the ground, we found that feedback from patients was positive across Marie Stopes International’s centres and its staff provided a non-judgmental service and treated patients with dignity and respect. However, our concerns at a corporate level – particularly around governance arrangements, staff training, and around patient safety and safeguarding protocols – did not give us the necessary assurance that patients would be protected from avoidable harm at all times, that possible safeguarding concerns could be identified and that incidents could be reported and learned from. Baker said that at all times, the CQC’s priority has been to ensure that patients undergoing or seeking advice about terminations from MSI “get safe, high-quality and compassionate care”. While we recognise that Marie Stopes International has made progress since our inspections, we will continue to monitor its services very closely and our planned re-inspections will determine exactly how embedded these improvements have been. We will not hesitate to take further action, if necessary in order to guarantee this provider meets the standard of care we expect and that its patients deserve. Limited clinical oversight: This included a vacancy for the head of nursing and a consultant in gynaecology and obstetrics (who would review policies and oversee medical staff) who was only contracted for eight hours a week. Also, while the professional registration of its clinical staff was checked at employment, Marie Stopes International could not demonstrate that this was checked on an ongoing basis. Poor risk management and monitoring arrangements: This included around patient consent and safeguarding, around the completion and submission of HSA1 and HSA4 forms (in which professionals state the grounds for the abortion and the formal notification that one has been performed), and around the reporting of incidents. 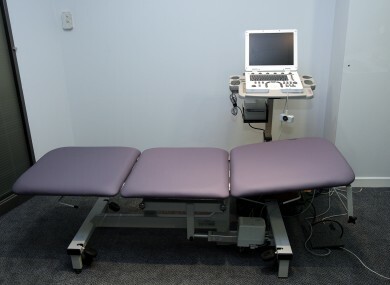 Gaps in training: This included in staff being appropriately trained to explore issues such as female genital mutilation and child sexual exploitation, around making sure vulnerable patients had a good understanding of procedures, a lack of assurance around staff training and competence in conscious sedation and general anaesthesia. During CQC’s inspection of Marie Stopes International’s Norwich site – which was where all surgical terminations were then suspended for three months – CQC found that patients were positive about the care they received and felt it was individually-centred. There were no effective systems to monitor and manage risk to patients, staff did not have ‘level three’ safeguarding training (which covers child protection and signs of abuse), infection control audit results were poor, and systems to maintain equipment were ineffective. Staff were found to be completing the World Health Organisation’s ‘Five Steps to Safer Surgery’ checklist in writing but not verbally too, as expected. This could have put patients at risk of avoidable mistakes being made. It also said that patient flow through the centre was compromised at times, with periods of extended waiting times, causing theatre backlogs. “Clinicians were reportedly bulk-signing HSA1 forms, which meant that they did not necessarily have access to all relevant information or sufficient time to review it before authorising a termination,” said the CQC. Staff were aware of how to report incidents and staffing was appropriate to the needs of patients calling the centre. Records were clear and concise and care was based on national guidance. Staff put the patient at the centre of their care, providing a compassionate and non-judgemental service. Calls were answered in a timely manner and redirected, as necessary. Since the inspections, we’ve made considerable changes to our management, governance and assurance processes, including extensive training of staff, and updating of policies. We have learned from this, and intend to continue our focus on providing the safe and compassionate care that women expect and deserve. The full details of CQC’s findings are available online. Email “UK abortion provider warned over concerns around risk and training”. Feedback on “UK abortion provider warned over concerns around risk and training”.